You slather on sunscreen on your face and body, but ever given a thought about your hair getting damaged due to the sun? The sun can cause your hair to become limp, lose its sheen and also can lighten the hair color by attacking the pigments in the hair. So what’s the best way to protect the hair from the scorching sun? Heard of SPF sprays? Yep, they are sprays that you can spritz onto your hair which will give you protection from the sun. How much more simple can it get? 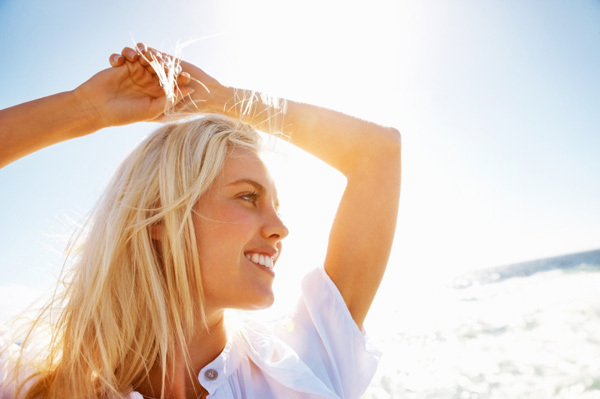 Here is our compilation of the best SPF sprays for hair out there. So take a pick and keep your hair protected from the harmful rays of the sun. 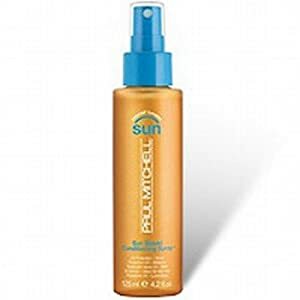 The Paul Mitchell SunShield Conditioning Spray provides UV protection to your hair strands. It comes with the UVeil technology that provides maximum protection against the sun. It also adds shine and luster to your hair. If you have colored your hair, the spray helps you maintain your bright vibrant hair color. It comes with a tropical fragrance that transports you to the beach with every spritz. The Pureology ColorMax is a spray that is meant for UV defense and color protection but can also be used by women with natural hair color. It is sulfate and carcinogen free. It is made from naturally derived ingredients. The spray contains aromatherapy essential oils. It is 100% vegan and leaves your hair smooth and silky. Simply spray on damp hair before stepping out. 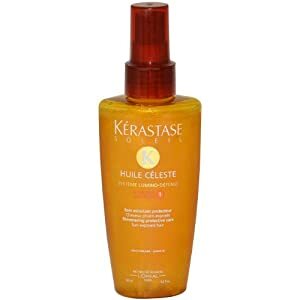 The Kerastase Soleil Huile Celeste Spray is enriched with macadamia oil and provides maximum protection from UVA and UVB rays. It is a gentle formula that needs to be sprayed onto hair. The rich oils in it add luminosity and glow to the hair making it gorgeous even in the harsh sun. 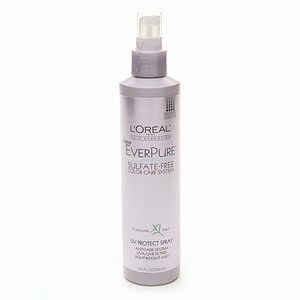 The L’Oreal EverPure UV Protect Spray is a light mist that is sulfate free. It can be sprayed onto dry or damp hair. Simply distribute it all over your hair and forget about all your sun worries, since the spray protects you from both UVA and UVB rays. Your hair becomes more resistant to breakage and becomes healthy and shiny. The spray has a color care system that helps protect your hair color and keeps it bright. The Phyto Plage Protective Beach Spray protects and nourishes the hair while also forming a shield to safeguard your hair color. The anti-UVB polymer in the spray protects the hair from sun damage. It contains olive oil extracts which nourish the hair and soften it. It prevents the hair from becoming damaged and brittle due to exposure to chlorine and the sun. 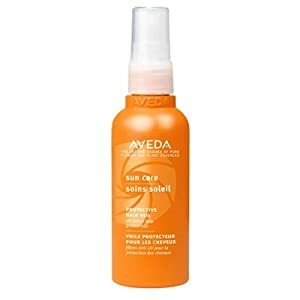 The Aveda Sun Protective Hair Veil is a light mist that is water resistant, making it ideal for a day out in the beach or pool. It casts an invisible film over your hair, giving you UV protection that lasts upto 16 hours. It restores the hair health and shine with the help of its green tea, shea butter vitamin e and coconut extracts. The Ouidad Summer Shield Hair Spray has special proteins and amino acids blended into it, which help in strengthening the hair and forming a film over it which seals in moisture and prevents harm from the UV rays. It simply needs to be sprayed onto dry or damp hair to give you lasting protection against the sun, wind and water.